Chilcas, in the Quechua language, is the name of a bush that grows around the base of the Descabezado Volcano, part of the Andes mountain range. Our main San Rafael vineyard, birthplace of our outstandingly elegant and expressive wines, is located at the foot of this volcano. Enjoy our wines sourced from valleys of great prestige with a varied cuisine, to enhance any occasion and company. 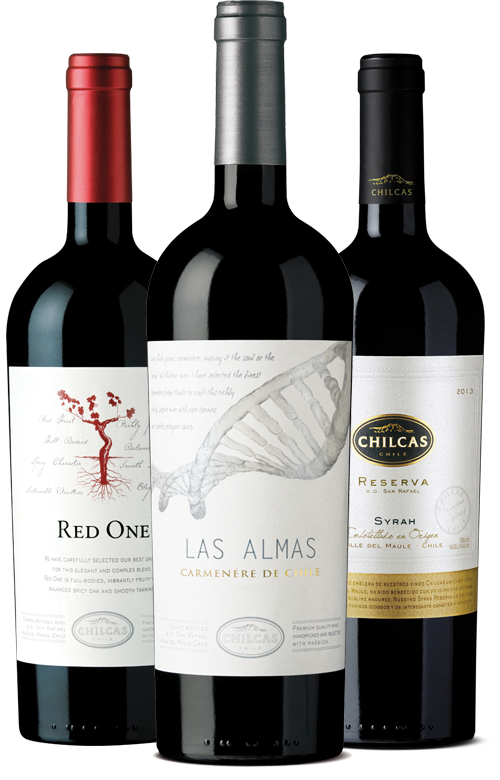 Situated in Chile, our vineyards are to be found in the most varied valleys. Their mild Mediterranean climate is excellent for the production of the best wines, which are famous around the world for their quality. These vineyards are the source of the fruit with which we make our Chilcas wines, so managing to capture the best of Chile’s different terroirs. Subscribe to our newsletter and get the latest news of our events and promotions. Av. Vitacura 4380, Suite 41, Vitacura, Santiago - Chile. Commercial Office: Av. Vitacura 4380, Suite 41, Vitacura, Santiago - Chile. Chilcas ©2018. All rights reserved.